For your brain to function, it needs a constant blood supply, which provides vital nutrients and oxygen to the brain cells. A stroke happens when the blood supply to part of the brain is cut off and brain cells are damaged or die. A person may become numb, weak or paralysed on one side of the body. They may slur their speech and find it difficult to find words or understand speech. Some people lose their sight or have blurred vision, and others become confused or unsteady. how we feel and communicate. About a third of people who have a stroke make a significant recovery within a month. But most stroke survivors will have long term problems. It may take a year or longer for them to make the best possible recovery. Sadly, in the most severe cases, strokes can be fatal or cause long-term disability. 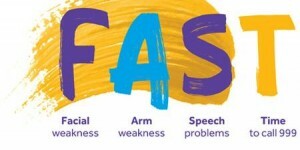 It is important to be able to recognise the symptoms of a strokehttp://www.stroke.org.uk/information/about_stroke/recognising_symptoms/index.html and to get help immediately. If symptoms disappear within 24 hours, the person may have had a Transient ischaemic attach (TIA), which is also called a mini-stroke. A TIA is still a medical emergency, because it can lead to a major stroke.